From Tanjong Pagar, this place has now moved to Pasarbella at Suntec City where they have a food counter with seats scattered around. When I got down to seeing the menu, I was thrilled to see the sheer number of vegetarian dishes featured on it and I sensed that my dinner was going to be one hearty meal. My first order was the ‘Sabich (without boiled egg)’ where the grilled eggplant was the star of the dish. The taste of eggplants complemented the crunchy cucumbers and tomatoes perfectly. It is served with Hummus and Pita bread. The salad also acts as a healthy component in this dish. Highly recommended. 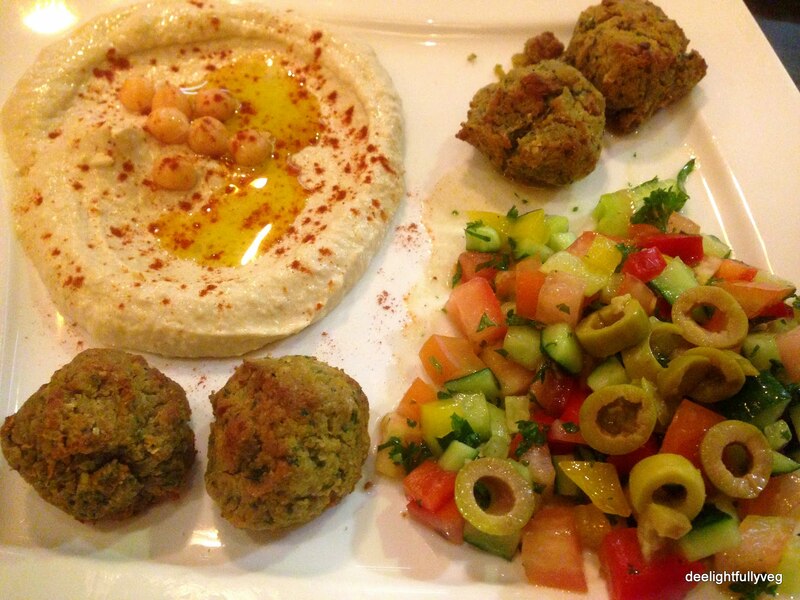 Middle Eastern food would almost be considered incomplete without the order of ‘Falafel’. All their main course dishes are served with salad and pita bread as accompaniments.The thing that impressed me was that their falafels were baked and they tasted great! The texture of Hummus is amazing and you can keep eating it just by itself. Our next dish was interesting as I had never tasted it before. The dish was called ‘Stuffed vine leaves’ which basically consisted of rice and herbs wrapped in the vine leaves. The leaves are a bit sour, but when combined with other offerings on the plate, they tasted delicious. If you like to try something different in food, you should go for this. 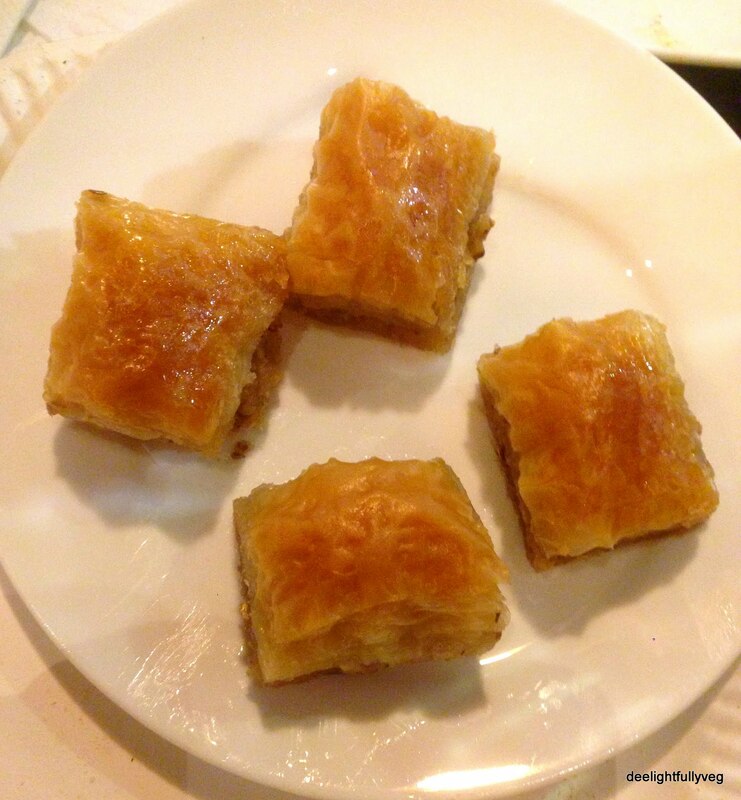 After their highly consistent main course, I knew I had to try their ‘Baklava’. It was served as small bites. That actually worked for us since we could finish it in our own pace and it was not too heavy for a dessert. It was a tasty and satisfactory end to a delicious dinner. 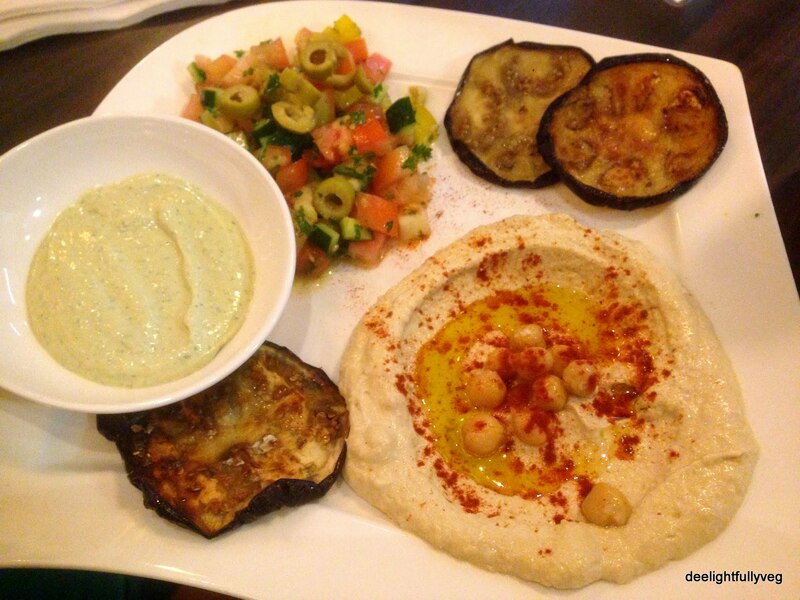 For quite a number of vegetarian options, for their healthy and tasty food, for takeaways and for authentic Middle eastern cuisine, Pita and Olives is a must visit. 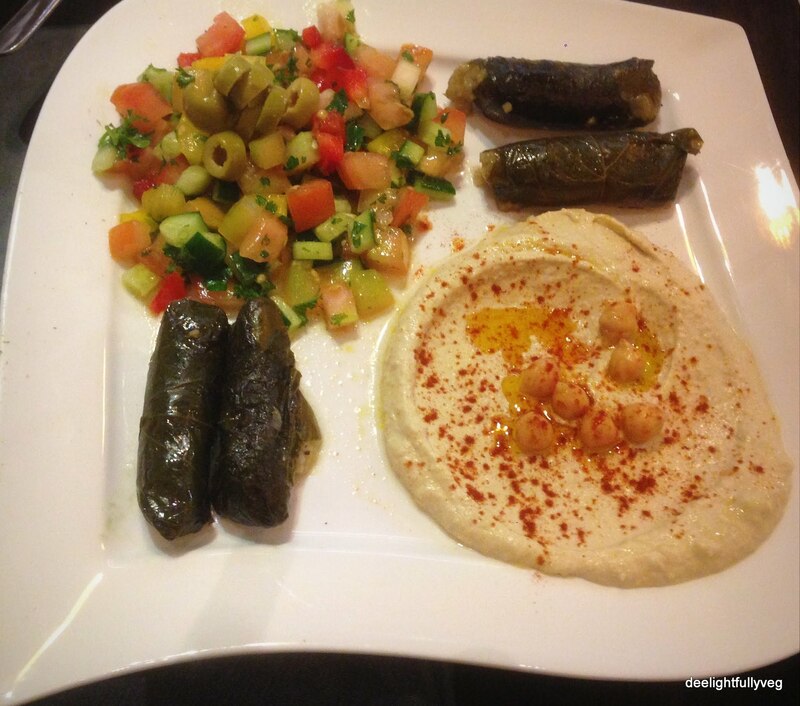 Posted on September 13, 2014 by deelightfullyveg	• This entry was posted in Restaurants and tagged Baklava, Falafel, Hidden gem, Hummus, Israeli, Lebanese, Middle Eastern, Pita bread, Tanjong Pagar, Tras Street. Bookmark the permalink. What a nice report on this fun place. My family is crazy about falafel too! Thanks Sandhya – Middle Eastern food is one of our liked comfort foods too 🙂 Thanks for dropping by! It was absolutely delicious Liz, thank you!